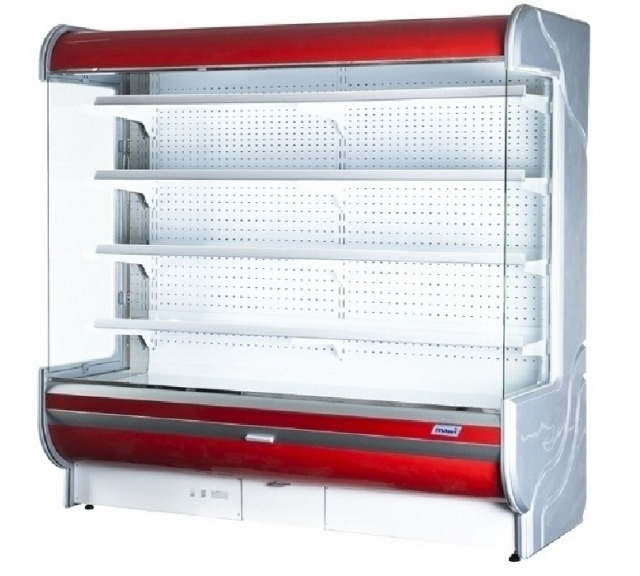 The remotely refrigerated wall cabinet is equipped with white colour basis, dynamic cooling, automatic defrost, 4 shelves with price tag, night cover, top lighting, thermostatic expansion valve and adjustable levelling legs. Colour of the decorative strip is available in the given RAL colours - standard accessory. Colour of the top and bottom troffer fixture with lighting is available in red, green, blue, yellow, white - standard accessory. Colour of the basis is available in RAL colours - option. The price does not contain the sidewalls!